So you want to make a landscape game, or a game that supports both portrait and landscape mode in your Direct3D game for Windows Phone 8… I had quite a few requests for such a sample, and documentation out there is really, really scarce for this subject. I spend a few days looking at what was available for Windows 8 apps and managed to convert and adapt that to Windows Phone 8 too. In Windows Phone 7, with XNA, this was automatically handled for you. You just needed to specify what orientation you want and create a backbuffer of correct size, and everything else (rendering, input) just worked. In Windows 8 apps, you have two options: you can let the system automatically rotate the image for you, or use the more optimal method of doing the rotation yourself and using the IDXGISwapChain1::SetRotation method to tell the OS that you did this manually. But for performance reasons, the option of automatic rotation is not available on Windows Phone 8, so we’re stuck with having to manually take care of everything: rotating stuff before we draw them, and processing input values to fit them to the new orientation. There are several things that we need to do in order to support other orientations besides the default Portrait one. The first things to do will be to specify what orientations you want to support, and then respond whenever the orientation changes. Go to your IFrameworkView implementation (normally ProjectName.cpp), and navigate to the SetWindow method. This will be called when the window for the app is ready, and the app can subscribe to windows events, and do whatever other configurations it might want. To specify what orientations your app supports, you can set the values of the DisplayProperties::AutoRotationPreferences property. By default, this is set to only support Portrait. To be able to react when the orientation changes, you’ll need to also subscribe to the OrientationChanged event. The OnOrientationChanged event is called each time the physical device is rotated and a new orientation is set. We’ll come back and add code in here a bit later. Now that the application can support other orientations, we need to make sure the rendering code produces proper output. The following code/instructions were adapted from the DXGI swap chain rotation sample, and the MSDN article on Supporting screen orientation (DirectX and C++) (Windows). Both of these were written for Windows 8, so they need a few changes to work on Windows Phone 8.
compute a transformation matrix that will be used for all elements we draw on the screen. We’ll create two transformation matrices: for 2D and 3D rendering. For 3D objects, this will be a rotation matrix that matches to rotation of the actual device. When drawing 3D objects, we’ll multiply this matrix with the projection matrix, so the rotation occurs when projecting the object on the screen, and doesn’t affect anything else in our process. We’ll store this in a member called m_orientationTransform3D. For 2D objects, this matrix will be a combination of a rotation and a translation, because in 2D the origin is in the top-left corner of the screen, so we’ll need to properly move that too. If using DirectXTK, we can pass this matrix to the SpriteBatch->Begin() call, as the last parameter. We’ll store this in a member called m_orientationTransform2D. As explained in my previous post, I’ll be using DirectXMath, so these matrices will be of type XMMATRIX. We’ll start by adding a few new members to Direct3DBase: the current orientation of the device, the size of the oriented screen size and the two matrices. In the Windows 8 implementation, the back-buffer was always resized to the new size of the screen, so everywhere you needed the screen size, you could simply use m_renderTargetSize. But on Windows Phone, since we leave the backbuffer untouched (the resolution of an app running on the phone never changes), we’ll need to keep track of the ‘virtual’ screen size, according to the orientation of the screen. Now let’s add a method that computes the matrices and updates all members to the proper values. // Method to compute the matrices that will need to be used for rotating whatever we draw. // Generate the matrix transformations for rendering to the new orientation. The code is pretty self-explanatory. For each possible orientation, we compute the two matrices, and update the ‘oriented’ screen size. Portrait, being the default orientation requires no change, while all the others are 90, 180 and 270 degree rotations. The 3D matrices were manually specified for increased precision. The PortraitFlipped orientation is not supported on phones, but I leave the code here anyway, for completeness. Now let’s call this from appropriate places. Just add a call to this method at the end of CreateWindowSizeDependentResources(), and then we need to make sure that CreateWindowSizeDependentResources() is called if the orientation has changed, in UpdateForWindowSizeChange(). // This method is called in the event handler for the SizeChanged event. 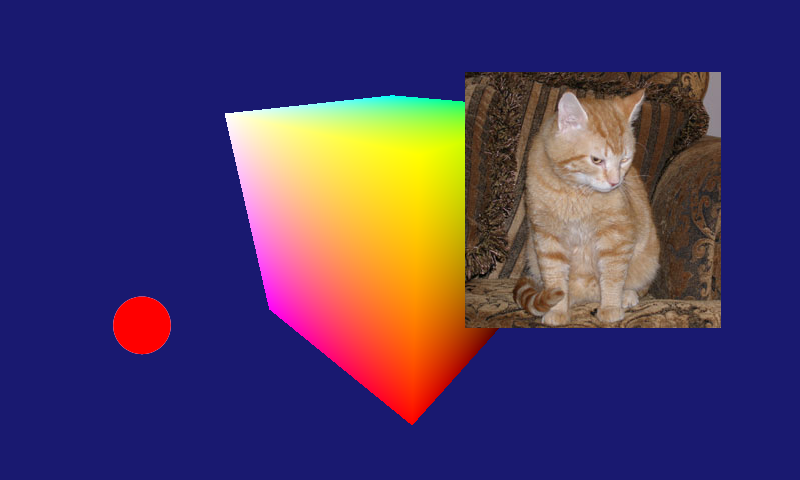 We multiply the projection matrix by the 3D orientation matrix, which will cause all objects to be rotated correctly. Also notice that we use m_orientedScreenSize to compute the aspect ratio, instead of the m_windowBounds, which always has the same value, regardless of orientation. For 2D, when using SpriteBatch, it’s must easier. Simply pass the 2D orientation matrix as the last parameter to the SpriteBatch->Begin() call. Now all sprites drawn with this batch will be properly rotated and translated for the new display. You only need to use these two matrices when you draw directly to the backbuffer. If you draw offscreen, into a rendertarget, ignore these and draw normally. Another thing that you need to manually process is the input. Regardless of device orientation, the raw pointer input comes in unaltered, so we’ll need to manually rotate it too. For this, we can add a simple method to Direct3DBase, the transforms a Point into new coordinates to match the orientation of the device. // Convert DIP to Pixels, or not? To exemplify, you can get the pointer location in OnPointerMoved, transform it, and send it to your game’s code. To see the example in action, check the code available to download at the end of the article. The accompanying code contains all of the above, and uses DirectXTK, as in my previous samples. It responds to orientation changes between Portrait, Landscape and LandscapeFlipped. It shows a spinning 3D cube and Shawn’s 2D cat moving from side to side, rotating them properly according to the orientation. It also draws a red dot at the position of a touch input, to exemplify how input can be processed. Thanks for the example. helped me get from my WinRT game to a Win 8 phone game. Any experience with IMFMediaEngine though? as it appears my video is always in portrait mode on Win8 phone. How to download file from internet in Windows Phone 8 DirectX3D App C++. Please help me ? It’s nice to see a Romanian game developer doing stuff in Windows Phone 8. It would be cool if we could get in touch since I’m Romanian too :). I searched all over your website but there is no contact method. Are you familiar with gamedev.ro btw ? Nice job!! Did not know that WP8 kept its windows dimensions when orientation changes, this helped a lot!